GM’s first mass-producible/mass-market electric car, the Chevrolet Bolt EV sets a new standard for acceptance by potential real-world buyers. Fitted with a huge 60-kWh battery pack — the biggest to appear in any non-exotic electric car to date — the Bolt EV in LT or up-line Premier form offers a benchmark 238-mile EPA per-charge range. That stat alone makes this ultra-green Chevy genuinely viable as a primary-use vehicle for a significant number of U.S. drivers. But the Bolt EV is a whole lot more. A natural rival to the Nissan Leaf and more affordable than a BMW i3, this cleanly styled, well-finished compact hatch boasts impressive room for five and their belongings, a sporty demeanor and offers features that rival those of many pricier conventional vehicles. Looking for a 2017 Chevrolet Bolt? We still have some in stock. Call our Customer Care Team at 630-898-9630 or visit our website. Latest addition to the division’s lineup, the Chevrolet Bolt EV is a completely new offering built on a dedicated platform and fitted with an advanced electric powertrain that gives this compact 5-door hatch an outstanding 238-mile-per-charge range and excellent real-world drivability to match its solid functionality. MI – General Motors thinks the U.S. electric-vehicle market is on the cusp of going mainstream, but the Detroit automaker and other key players may soon reach sales volumes ending an important consumer tax rebate established years ago to kick start the segment. Looking for your own EV? Call our Customer Care Team at 630-598-1029 for additional details or visit our website. “We are near the tipping point for mainstream adoption,” says Darrin Gesse, product manager for the Chevrolet Bolt battery-electric vehicle. Gesse characterizes the popularity of EVs as moving from first adopters to first-followers, where more first-time buyers are converting over from gasoline. He says 33% of Bolt owners did not previously own an alternative-propulsion vehicle and one-third of them traded in a gasoline-powered car. The Bolt has been a boost to Chevy’s technical reputation among Americans, he adds, with 70% of buyers new to the brand. At the same time, federal credits for plug-in electric vehicles, which vary in amount based on battery capacity, are capped at 200,000 sales. The second calendar quarter after an automaker crosses that threshold the tax rebate available to a buyer of one of their PHEVs is halved, according to the IRS. The fourth quarter after that it is cut to 25% of the original value and it is phased out altogether at the beginning of the sixth quarter. According to WardsAuto data, GM has delivered 150,051 PHEVs in the U.S. since Jan 1, 2010, when counting began for the credits. Tesla follows with an estimated 132,970 sales, although their total should rise sharply when thousands of reservations for the Model 3 are filled, putting the EV-maker past 200,000 deliveries ahead of GM. Executives at Nissan, which has sold 113,282 Leaf BEVs, told WardsAuto in 2015 they were hoping to negotiate with federal officials to keep the credits going. Absent that, Nissan says more work must be done to slash battery costs. Consultant McKinsey estimates the 60-kWh battery pack in the Bolt is a $13,600 component. Gesse says it is unclear how GM intends to manage an end to its credits, but admits the automaker likely will have the luxury of watching Tesla’s reaction. He declines to speculate whether GM would have to slash pricing on a car such as the Bolt. The federal government also could make changes to the program before either company exceeds 200,000 sales, and state governments offer programs, too. Colorado, for example, offers a hefty $6,000 tax credit. Whatever occurs, Gesse says GM will not walk away from plug-ins. “If anything, we’re gearing up more and more,” he says. Ron Westphal Chevrolet is a recently renovated, family-owned dealership located in Aurora, IL near Naperville, Plainfield, Joliet, Bolingbrook, Chicago, Wheaton, Elburn, St. Charles, Yorkville, Sandwich, Plano, Downers Grove and more. Chevy Bolt vs Nissan Leaf Video Comparison Ron Westphal Chevy goes over just some of the Chevrolet advantages. Spoiler Alert: The Chevy Bolt creams the Nissan Leaf. Want to see and/or drive a Bolt in person? Give our Customer Care Team a call at 630-898-9630 to arrange a V.I.P. demonstration drive. If you prefer, visit our website at http://www.WestphalChevy.com. Ron Westphal Chevrolet is a family owned new and used car dealership located in Aurora, IL near Naperville, Plainfield and Oswego, IL. We are less than 1 hour from Chicago and in Kendall County, so we are very popular with residents from the Windy City. How much is a Chevy Bolt battery? It’s one of the most common questions among electric-car buyers: what happens if the battery fails? The answer is that all electric-car batteries are warranted against failure for either 8 years/100,000 miles or 10 years/150,000 miles, depending on which state you live in. The followup is often: OK, then, what does a battery cost once my car’s out of warranty? Isn’t it going to be really expensive? We’ve known the answer to that question for the original 2011-2014 Nissan Leaf electric car with its 24-kilowatt-hour battery pack: $5,500. But now there’s a new kid in town. The 2017 Chevrolet Bolt EV is the first affordable, long-range electric car, with a 238-mile EPA combined range rating from its 60-kwh battery pack. So what does one of those cost to replace? We reached out to Chevy, and got the following response from Fred Ligouri of Chevrolet Communications. The current list price of a Bolt EV HV battery pack is $15,734.29 and the part number is 24285978. LOOKING FOR YOUR OWN ELECTRIC VEHICLE? CALL OUR CUSTOMER CARE TEAM AT 630-898-9630 OR VISIT RON WESTPHAL CHEVY ONLINE! Ligouri went on, however, to provide some additional context around the sometimes worrisome topic of battery replacements. 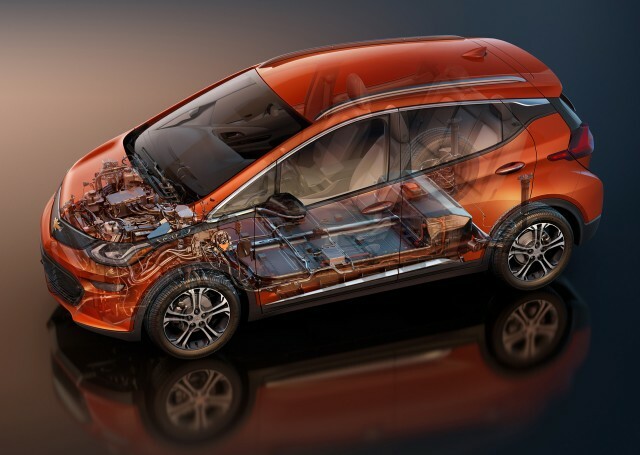 The Bolt EV battery is covered by the electric-car propulsion warranty (see specifics below) and Bolt EV customers shouldn’t expect to pay parts costs for warrantied repairs. In [almost seven] years of Volt sales we have yet to replace a single battery pack under warranty for general capacity degradation, and many owners are still reporting they enjoy the same range capability they had when they purchased the car. 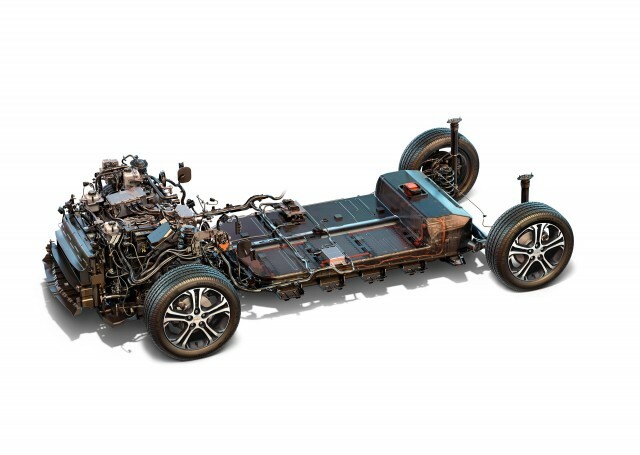 Whole battery-pack replacement is also largely mitigated by the design, manufacturing technique, dealer diagnostic, and repair tools included to support the manufacture, sale, and service needs of the Bolt EV, meaning individual modules can be replaced should it be required. 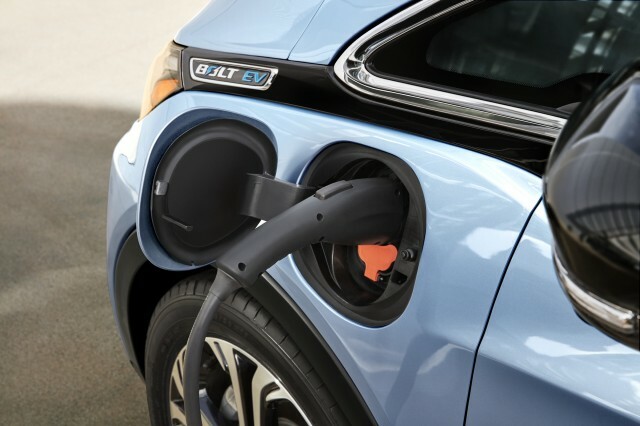 In addition to the 3-year/36,000-mile Bumper-to-Bumper Coverage, Chevrolet warrants certain components for each Bolt EV for 8 years or 100,000 miles (160, 000 kilometers), whichever comes first, from the original in-service date of the vehicle … for repairs to the specific electric propulsion components of the vehicle. In other words, even if some component in a Bolt EV battery degrades or fails, the whole pack doesn’t necessarily need to be replaced. Thus far, based on first-generation Chevrolet Volt range-extended electric cars now in service for more than six years, degradation in the capacity of GM battery packs has yet to prove a significant issue. That’s demonstrated, among other examples, by the case of Erick Belmer’s 2012 Chevrolet Volt. That car crossed 300,000 miles in March 2016, with no discernible change to its battery range. Only time will tell how well the Bolt EV battery packs hold out, and of course the Volt’s gasoline engine provides backup to mitigate any concerns over range anxiety in that car. Still, now we know the cost of a replacement Bolt EV battery—whether or not any of them end up being sold. Source: How much is a replacement Chevy Bolt EV electric-car battery? Author WestphalChevyPosted on July 9, 2017 July 5, 2017 Categories NewsTags bolt aurora il, Bolt battery cost, chevy bolt blog, How much is a Chevy Bolt battery?, ron westphal chevy bolt, westphal chevy boltLeave a comment on How much is a Chevy Bolt battery?